Computer cleaning prices are estimates based on average customer requirements. 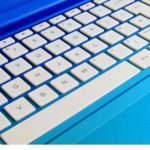 Per part of the booking process, we ask you a number of questions about the number of computers, keyboards, monitor screens, and telephones and the level of cleaning needed. Based on your answers and our experience we estimate how long it will take and provide you with the best quote. Our estimates are normally very accurate but your cleaner will let you know if they feel the description does not match the needs of the Items that required cleaning. Occasionally, the actual cost for one-off and deep cleaning may be slightly lower or higher if the level of cleaning required is significantly lower or higher. 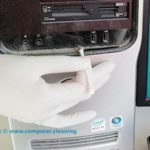 Low cleaning price doesn’t always guarantee the desired computer cleaning standard. Before hiring a service at a bargain rate, you need to consider the fact that the service cost and service quality are directly proportional to each other. The cleaning market is a very competitive business yet there are very few professional companies that can guarantee great services at the price the customers are willing to pay. 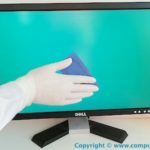 It is in the customer’s best interest to not only reach out to a professional computer cleaning company but also to consider market segmentation, product bundling, and both the tangible and intangible benefits you are getting. 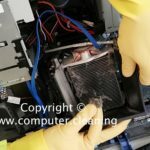 If you are acquiring computer cleaning service for the first time and have no or little experience on what budget to allocate for one-off or regular cleaning. We will help you to understand the cleaning expenditures structure to allocate a correct sum of money for this purpose. One way of ensuring that the cleaning prices are fair is to ask the company for a cost breakdown, also known as a price breakdown. We will provide you with a quote detailing information about the cost drivers, which will include an itemised price list of products and services. Hidden costs, charges etc. are difficult to notice, for example, because they are not included in the basic price list of the cleaning service. Make sure that you read the quote thoroughly and don’t surprise your self later at the time of payment with extra unexpected changes. We are upfront with our pricing with no hidden fees or surprises. We charge our customers for the successful cleaning service delivery only. We usually don’t ask for upfront payments. The first and most important reason that our services are competitively priced is that we choose to be affordable. We believe in the value of small businesses, and we believe that they should have access to the same high-quality services that larger businesses can afford. As a result, we make sure that our expertise is priced in such a way that anyone can take advantage of our help when they need it. It is this desire to be accessible to businesses of all sizes that drives the strategies we use to keep our prices down. We provide you 100% free of cost no obligation quote. We don’t change for the site survey as well. This service is free of cost in London and nationwide in the UK. We also provide advice on opportunity cost to assist and inform our clients about the value of the best alternative options when choosing our cleaning services. For further information read the cost related frequently ask questions. Presented by Computer Cleaning We are the UK nationwide computer cleaning company having our head office in London. we have a set of values, commitments, professionalism, and honesty that we’ve summarised in something special we call PRIDE.